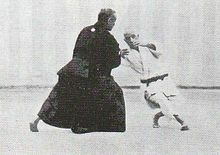 The first principle entails using a combination of technique and timing in order to throw an opponent using as little physical strength as possible. The second principle means that although Judo is a physical art by nature, applying the principles of Judo to everyday activities enables individuals to translate the ideas of maximum efficiency and “giving way” in a physical sense into mutual aid and concession in society, resulting in harmony among people. In eliminating the “dangerous” techniques of Jujutsu such as kicking, punching, and small joint locks, Kano developed a system in which techniques could be practiced at full speed and power with little risk of injury. The techniques that were kept and further refined comprise a large variety of throws as well as techniques for controlling an opponent on the ground, such as pins, chokes, and arm locks. In accordance with the principle of maximum efficiency, students first master “ukemi”, the art of falling properly to avoid injury, so that they can train daily without requiring time to recover between practices. As a sport, points are awarded for throwing or pinning an opponent. Alternatively, a match may be won by forcing an opponent to submit to a choke or arm lock. Judo has been a sanctioned Olympic sport since the 1964 Tokyo Olympics, and there are countless levels of competitions in which players of all levels of experience can test their skills against others. Whether it is practiced for exercise, recreation, competition, self-defense, or as a way of life, Judo is an inexpensive activity that can be enjoyed all year round by women and men, boys and girls of all ages. 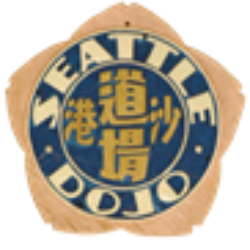 Judo dojos around the world welcome players of all levels of experience, and anyone interested is encouraged to stop by and observe classes. This article is about the martial art and sport. For the computer programming environment, see JUDO (computer programming environment). The philosophy and subsequent pedagogy developed for judo became the model for other modern Japanese martial arts that developed from koryū (古流, traditional schools). The early history of judo is inseparable from its founder, Japanese polymath and educator Kanō Jigorō (嘉納 治五郎, Jigoro Kano, 1860–1938), born Shinnosuke Jigorō (新之助 治五郎, Jigorō Shinnosuke). Kano was born into a relatively affluent family. His father, Jirosaku, was the second son of the head priest of the Shinto Hiyoshi shrine in Shiga Prefecture. He married Sadako Kano, daughter of the owner of Kiku-Masamune sake brewing company and was adopted by the family, changing his name to Kano. He ultimately became an official in the Shogunal government. 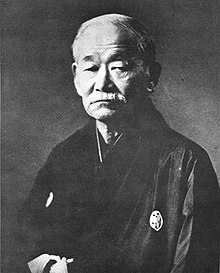 Jigoro Kano had an academic upbringing and, from the age of seven, he studied English, shodō (書道, Japanese calligraphy) and the Four Confucian Texts (四書, Shisho) under a number of tutors. When he was fourteen, Kano began boarding at an English-medium school, Ikuei-Gijuku in Shiba, Tokyo. The culture of bullying endemic at this school was the catalyst that caused Kano to seek out a Jūjutsu (柔術, Jujutsu) dōjō (道場, dojo, training place) at which to train. Early attempts to find a jujutsu teacher who was willing to take him on met with little success. With the fall of the Tokugawa shogunate in the Meiji Restoration of 1868, jujutsu had become unfashionable in an increasingly westernized Japan. Many of those who had once taught the art had been forced out of teaching or become so disillusioned with it that they had simply given up. Nakai Umenari, an acquaintance of Kanō's father and a former soldier, agreed to show him kata, but not to teach him. The caretaker of Jirosaku's second house, Katagiri Ryuji, also knew jujutsu, but would not teach it as he believed it was no longer of practical use. Another frequent visitor, Imai Genshiro of Kyūshin-ryū (扱心流) school of jujutsu, also refused. Several years passed before he finally found a willing teacher. In 1877, as a student at the Tokyo-Kaisei school (soon to become part of the newly founded Tokyo Imperial University), Kano learned that many jujutsu teachers had been forced to pursue alternative careers, frequently opening Seikotsu-in (整骨院, traditional osteopathy practices). After inquiring at a number of these, Kano was referred to Fukuda Hachinosuke (c.1828–1880), a teacher of the Tenjin Shin'yō-ryū (天神真楊流) of jujutsu, who had a small nine mat dojo where he taught five students. Fukuda is said to have emphasized technique over formal exercise, sowing the seeds of Kano's emphasis on randori (乱取り, randori, free practice) in judo. On Fukuda's death in 1880, Kano, who had become his keenest and most able student in both randori and kata (形, kata, pre-arranged forms), was given the densho (伝書, scrolls) of the Fukuda dojo. Kano chose to continue his studies at another Tenjin Shin'yō-ryū school, that of Iso Masatomo (c.1820–1881). Iso placed more emphasis on the practice of "kata", and entrusted randori instruction to assistants, increasingly to Kano. Iso died in June 1881 and Kano went on to study at the dojo of Iikubo Tsunetoshi (1835–1889) of Kitō-ryū (起倒流). Like Fukuda, Iikubo placed much emphasis on randori, with Kitō-ryū having a greater focus on nage-waza (投げ技, throwing techniques). In February 1882, Kano founded a school and dojo at the Eisho-ji (永昌寺), a Buddhist temple in what was then the Shitaya ward of Tokyo (now the Higashi Ueno district of Taitō ward). Iikubo, Kano's Kitō-ryū instructor, attended the dojo three days a week to help teach and, although two years would pass before the temple would be called by the name Kōdōkan (講道館, Kodokan, "place for expounding the way"), and Kano had not yet received his Menkyo (免許, certificate of mastery) in Kitō-ryū, this is now regarded as the Kodokan founding. The Eisho-ji dojo was originally shoin. It was a relatively small affair, consisting of a 12 jo (214 sq ft) training area. Kano took in resident and non-resident students, the first two being Tomita Tsunejirō and Shiro Saigo. In August, the following year, the pair were granted shodan (初段, first rank) grades, the first that had been awarded in any martial art. At the time a few bujitsu (martial arts) experts still existed but bujitsu was almost abandoned by the nation at large. Even if I wanted to teach jujitsu most people had now stopped thinking about it. So I thought it better to teach under a different name principally because my objectives were much wider than jujitsu. Kano believed that "jūjutsu" was insufficient to describe his art: although jutsu (術) means "art" or "means", it implies a method consisting of a collection of physical techniques. Accordingly, he changed the second character to dō (道), meaning way, road or path, which implies a more philosophical context than jutsu and has a common origin with the Chinese concept of tao. Thus Kano renamed it Jūdō (柔道, judo). 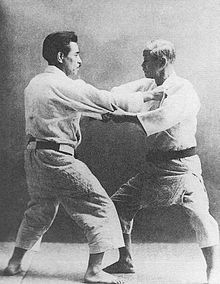 There are three basic categories of waza (技, techniques) in judo: nage-waza (投げ技, throwing techniques), katame-waza (固技, grappling techniques) and atemi-waza (当て身技, striking techniques). Judo is mostly known for nage-waza and katame-waza. The person who performs a Waza is known as tori (取り, literally "taker") and the person to whom it is performed is known as uke (受け, "receiver"). Kake (掛け), the execution and completion of the throw. Before an effective kuzushi can be performed, it is important to establish a firm grip (組み方, kumi kata). Nage-waza are typically drilled by the use of uchi-komi (内込), repeated turning-in, taking the throw up to the point of kake. Traditionally, nage-waza are further categorised into tachi-waza (立ち技, standing techniques), throws that are performed with tori maintaining an upright position, and sutemi-waza (捨身技, sacrifice techniques), throws in which tori sacrifices his upright position in order to throw uke. Tachi-waza are further subdivided into te-waza (手技, hand techniques), in which tori predominantly uses his arms to throw uke; koshi-waza (腰技, hip techniques) throws that predominantly use a lifting motion from the hips; and ashi-waza (足技, foot and leg techniques), throws in which tori predominantly utilises his legs. Katame-waza is further categorised into osaekomi-waza (抑込技, holding techniques), in which tori traps and pins uke on his back on the floor; shime-waza (絞技, strangulation techniques), in which tori attempts to force a submission by choking or strangling uke; and kansetsu-waza (関節技, joint techniques), in which tori attempts to submit uke by painful manipulation of his joints. A related concept is that of ne-waza (寝技, prone techniques), in which waza are applied from a non-standing position. Judo pedagogy emphasizes randori (乱取り, literally "taking chaos", but meaning "free practice"). This term covers a variety of forms of practice, and the intensity at which it is carried out varies depending on intent and the level of expertise of the participants. At one extreme, is a compliant style of randori, known as Yakusoku geiko (約束稽古, prearranged practice), in which neither participant offers resistance to their partner's attempts to throw. A related concept is that of Sute geiko (捨稽古, throw-away practice), in which an experienced judoka allows himself to be thrown by his less-experienced partner. At the opposite extreme from yakusoku geiko is the hard style of randori that seeks to emulate the style of judo seen in competition. While hard randori is the cornerstone of judo, over-emphasis of the competitive aspect is seen as undesirable by traditionalists if the intent of the randori is to "win" rather than to learn. Kata (形, kata, forms) are pre-arranged patterns of techniques and in judo, with the exception of the Seiryoku-Zen'yō Kokumin-Taiiku, they are all practised with a partner. Their purposes include illustrating the basic principles of judo, demonstrating the correct execution of a technique, teaching the philosophical tenets upon which judo is based, allowing for the practice of techniques that are not allowed in randori, and to preserve ancient techniques that are historically important but are no longer used in contemporary judo. Nage-no-kata (投の形, Forms of throwing) Fifteen throws, practiced both left- and right-handed, three each from the five categories of nage waza: te waza, koshi waza, ashi waza, ma sutemi waza and yoko sutemi waza. Katame-no-kata (固の形, Forms of grappling or holding). Fifteen techniques in three sets of five, illustrating the three categories of katame waza: osaekomi waza, shime waza and kansetsu waza. Kime-no-kata (極の形, Forms of decisiveness). Twenty techniques, illustrating the principles of defence in a combat situation, performed from kneeling and standing positions. Attacks are made unarmed and armed with a dagger and a sword. 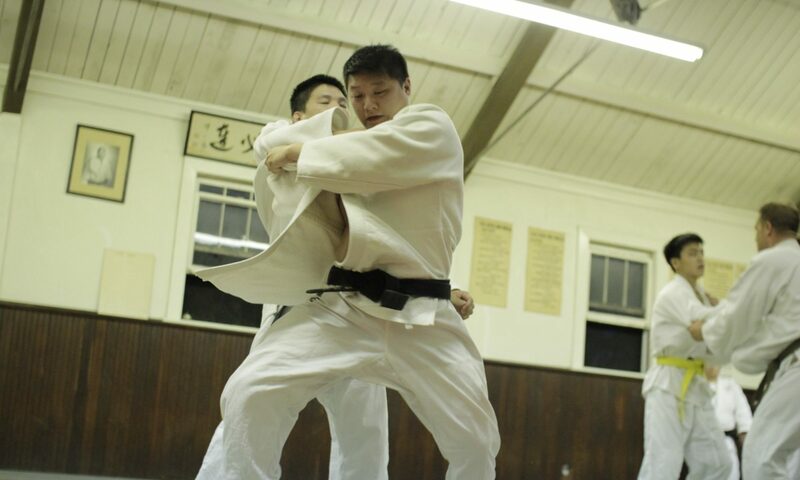 This kata utilises atemi waza, striking techniques, that are forbidden in randori. Kōdōkan goshinjutsu (講道館護身術, Kodokan skills of self-defence). The most recent recognised kata, comprising twenty-one techniques of defence against attack from an unarmed assailant and one armed with a knife, stick and pistol. This kata incorporates various jujutsu techniques such as wrist locks and atemi waza. Jū-no-kata (柔の形, Forms of gentleness & flexibility). Fifteen techniques, arranged in three sets of five, demonstrating the principle of Jū and its correct use in offence and defence. Gō-no-kata (剛の形, Forms of force). One of the oldest kata, comprising ten forms that illustrate the efficient use of force and resistance. Now rarely practiced. Itsutsu-no-kata (五の形, The five forms). An advanced kata, illustrating the principle of seiryoku zen'yō and the movements of the universe. The kata predates the creation of Kodokan and originated in Tenjin Shinyō-ryū. Koshiki-no-kata (古式の形, Traditional forms). Derived from Kitō-ryū Jujutsu, this kata was originally intended to be performed wearing armour. Kano chose to preserve it as it embodied the principles of judo. Seiryoku Zen'yō Kokumin Taiiku (精力善用国家体育, Maximum-efficiency national physical education). A series of exercises designed to develop the physique for judo. Joshi-goshinhō (女性護身法, Methods of self-defence for women). An exercise completed in 1943, and of which the development was ordered by Jiro Nango, the second Kodokan president. Go-no-sen-no-kata (後の先の形) A kata of counter techniques developed at Waseda University in Tokyo, popularised in the West by Mikinosuke Kawaishi. Nage-waza-ura-no-kata (投げ技裏の形) Another kata of counter techniques, created by Kyuzo Mifune. Contest (試合, shiai) is a vitally important aspect of judo. In 1899, Kano was asked to chair a committee of the Dai Nippon Butoku Kai to draw up the first formal set of contest rules for jujutsu. These rules were intended to cover contests between different various traditional schools of jujutsu as well as practitioners of Kodokan judo. Contests were 15 minutes long and were judged on the basis of nage waza and katame waza, excluding atemi waza. Wins were by two ippons, awarded in every four-main different path of winning alternatives, by "Throwing", where the opponent's back strikes flat onto the mat with sufficient force, by "Pinning" them on their back for a "sufficient" amount of time, or by Submission, which could be achieved via "Shime-waza" or "Kansetsu-waza", in which the opponent was forced to give himself or herself up or summon a referee's or corner-judge's stoppage. Finger, toe and ankle locks were prohibited. In 1900, these rules were adopted by the Kodokan with amendments made to prohibit all joint locks for kyu grades and added wrist locks to the prohibited kansetsu-waza for dan grades. It was also stated that the ratio of tachi-waza to ne-waza should be between 70% to 80% for kyu grades and 60% to 70% for dan grades. In 1916, additional rulings were brought in to further limit kansetsu waza with the prohibition of ashi garami and neck locks, as well as do jime. These were further added to in 1925. I have been asked by people of various sections as to the wisdom and possibility of judo being introduced with other games and sports at the Olympic Games. My view on the matter, at present, is rather passive. If it be the desire of other member countries, I have no objection. But I do not feel inclined to take any initiative. For one thing, judo in reality is not a mere sport or game. I regard it as a principle of life, art and science. In fact, it is a means for personal cultural attainment. Only one of the forms of judo training, so-called randori or free practice can be classed as a form of sport. Certainly, to some extent, the same may be said of boxing and fencing, but today they are practiced and conducted as sports. Then the Olympic Games are so strongly flavored with nationalism that it is possible to be influenced by it and to develop "Contest Judo", a retrograde form as ju-jitsu was before the Kodokan was founded. Judo should be free as art and science from any external influences, political, national, racial, and financial or any other organized interest. And all things connected with it should be directed to its ultimate object, the "Benefit of Humanity". Human sacrifice is a matter of ancient history. Nevertheless, judo became an Olympic sport for men in the 1964 Games in Tokyo. The Olympic Committee initially dropped judo for the 1968 Olympics, meeting protests. Dutchman Anton Geesink won the first Olympic gold medal in the open division of judo by defeating Akio Kaminaga of Japan. The women's event was introduced at the Olympics in 1988 as a demonstration event, and an official medal event in 1992. Penalties may be given for: passivity or preventing progress in the match; for safety infringements for example by using prohibited techniques, or for behavior that is deemed to be against the spirit of judo. Fighting must be stopped if a participant is outside the designated area on the mat. A throw that places the opponent on his back with impetus and control scores an ippon (一本), winning the contest. A lesser throw, where the opponent is thrown onto his back, but with insufficient force to merit an ippon, scores a waza-ari (技あり). 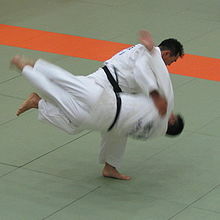 Formerly, two scores of waza-ari equalled an ippon waza-ari awasete ippon (技あり合わせて一本, ) and a throw that places the opponent onto his side scores a yuko (有効). The International Judo Federation recently announced changes in evaluation of points. There will only be ippon and waza-ari scores given during a match with yuko scores now included within waza-ari. Multiple waza-ari scores are no longer converted into ippon scores. Ippon is scored in ne-waza for pinning an opponent on his back with a recognised osaekomi-waza for 20 seconds or by forcing a submission through shime-waza or kansetsu-waza. A submission is signalled by tapping the mat or the opponent at least twice with the hand or foot, or by saying maitta (まいった, I surrender). A pin lasting for less than 20 seconds, but more than 10 seconds scores waza-ari (formerly waza-ari was awarded for holds of longer than 15 seconds and yuko for holds of longer than 10 seconds). Formerly, there was an additional score that was lesser to yuko, that of Koka (効果). This has since been removed. If the scores are identical at the end of the match, the contest is resolved by the Golden Score rule. Golden Score is a sudden death situation where the clock is reset to match-time, and the first contestant to achieve any score wins. If there is no score during this period, then the winner is decided by Hantei (判定), the majority opinion of the referee and the two corner judges. There have been changes to the scoring. In January 2013, the Hantei was removed and the "Golden Score" no longer has a time limit. The match would continue until a judoka scored through a technique or if the opponent is penalised (Shido). Two types of penalties may be awarded. A shido (指導 - literally "guidance") is awarded for minor rule infringements. A shido can also be awarded for a prolonged period of non-aggression. Recent rule changes allow for the first shidos to result in only warnings. If there is a tie, then and only then, will the number of shidos (if less than three) be used to determine the winner. After three shidos are given, the victory is given to the opponent, constituting an indirect hansoku-make (反則負け - literally "foul-play defeat"), but does not result in expulsion from the tournament. Note: Prior to 2017, the 4th shido was hansoku make. If hansoku make is awarded for a major rule infringement, it results not just in loss of the match, but in the expulsion from the tournament of the penalized player. Several judo practitioners have made an impact in mixed martial arts. Notable judo-trained MMA fighters include Olympic medalists Hidehiko Yoshida (Gold, 1992), Naoya Ogawa (Silver, 1992), Paweł Nastula (Gold, 1996), Makoto Takimoto (Gold, 2000), Satoshi Ishii (Gold, 2008) and Ronda Rousey (Bronze, 2008), former Russian national judo championship Bronze medalist Fedor Emelianenko, Yoshihiro Akiyama, Don Frye, Rick Hawn, Daniel Kelly, Hector Lombard, Khabib Nurmagomedov, Karo Parisyan, Antônio Silva, Oleg Taktarov, and Dong-Sik Yoon. Kosen judo (高專柔道): Sometimes erroneously described as a separate style of judo, Kosen judo is a competition rules set of Kodokan judo that was popularized in the early 20th century for use in Japanese Special High Schools Championships held at Kyoto Imperial University. The word "Kosen" is an acronym of Koto Senmon Gakko (高等専門学校, literally "Higher Professional School"). Kosen judo's focus on newaza has drawn comparisons with Brazilian jiu-jitsu. Russian judo: This distinctive style of judo was influenced by the Russian martial art called Sambo. It is represented by well-known coaches such as Alexander Retuinskih and Igor Yakimov, and mixed martial arts fighters such as Fedor Emelianenko and Karo Parisyan. In turn, Russian judo has influenced mainstream judo, with techniques such as the flying armbar being accepted into Kodokan judo. Sambo (especially Sport Sambo): Vasili Oshchepkov was the first European judo black belt under Kano. Oshchepkov went on to contribute his knowledge of judo as one of the three founders of Sambo, which also integrated various international and Soviet bloc wrestling styles and other combative techniques. Oshchepkov died during the political purges of 1937. In their History of Sambo, Brett Jacques and Scott Anderson wrote that in Russia "judo and SOMBO were considered to be the same thing"—albeit with a different uniform and some differences in the rules. Freestyle Judo is a form of competitive judo practiced primarily in the USA, that retains techniques that have been removed from mainstream IJF rules. Freestyle Judo is currently backed by the International Freestyle Judo Alliance (IFJA). The Amateur Athletic Union (AAU) officially sanctions Freestyle Judo in the United States of America. Kano's vision for judo was one of a martial way that could be practiced realistically. Randori (free practice) was a central part of judo pedagogy and shiai (competition) a crucial test of a judoka's understanding of judo. Safety necessitated some basic innovations that shaped judo's development. 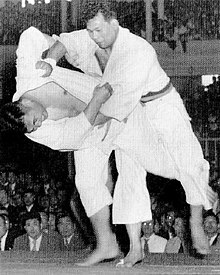 Atemi waza (striking techniques) were entirely limited to kata (prearranged forms) early in judo's history. Kansetsu waza (joint manipulation techniques) were limited to techniques that focused on the elbow joint. Various throwing techniques that were judged to be too dangerous to practice safely were also prohibited in shiai. To maximise safety in nage waza (throwing techniques), judoka trained in ukemi (break falls) and practiced on tatami (rice straw mats). The application of joint manipulation and strangulation/choking techniques is generally safe under controlled conditions typical of judo dojo and in competition. It is usual for there to be age restrictions on the practice and application of these types of techniques, but the exact nature of these restrictions will vary from country to country and from organization to organization. Safety in the practice of throwing techniques depends on the skill level of both tori and uke. Inexpertly applied throws have the potential to injure both tori and uke, for instance when tori compensates for poor technique by powering through the throw. Similarly, poor ukemi can result in injury, particularly from more powerful throws that uke lacks the skill to breakfall from. For these reasons, throws are normally taught in order of difficulty for both tori and uke. This is exemplified in the Gokyo (五教, literally "five teachings"), a traditional grouping of throws arranged in order of difficulty of ukemi. Those grouped in Dai ikkyo (第一教, literally "first teaching") are relatively simple to breakfall from whereas those grouped in dai gokyo (第五教, literally "fifth teaching") are difficult to breakfall from. A practitioner of judo is known as a judoka (柔道家). The modern meaning of "judoka" in English is a judo practitioner of any level of expertise, but traditionally those below the rank of 4th dan were called kenkyu-sei (研究生, trainees); and only those of 4th dan or higher were called "judoka". (The suffix -ka (家), when added to a noun, means a person with expertise or special knowledge on that subject). A judo teacher is called sensei (先生). The word sensei comes from sen or saki (before) and sei (life) – i.e. one who has preceded you. In Western dojo, it is common to call an instructor of any dan grade sensei. Traditionally, that title was reserved for instructors of 4th dan and above. The judogi is made from a heavy weave to withstand the strength of throwing and grappling. Judo practitioners traditionally wear white uniforms called 稽古着 (keikogi, keikogi) practice clothing or jūdōgi (柔道着, judogi, judo clothing). sometimes abbreviated in the west as "gi". It comprises a heavy cotton kimono-like jacket called an uwagi (上衣, jacket), similar to traditional hanten (半纏, workers jackets) fastened by an obi (帯, obi, belt), coloured to indicate rank, and cotton draw-string zubon (ズボン, trousers). Early examples of keikogi had short sleeves and trouser legs and the modern long-sleeved judogi was adopted in 1906. The modern use of the blue judogi for high level competition was first suggested by Anton Geesink at the 1986 Maastricht IJF DC Meeting. For competition, a blue judogi is worn by one of the two competitors for ease of distinction by judges, referees, and spectators. In Japan, both judoka use a white judogi and the traditional red obi (based on the colors of the Japanese flag) is affixed to the belt of one competitor. Outside Japan, a colored obi may also be used for convenience in minor competitions, the blue judogi only being mandatory at the regional or higher levels, depending on organization. Japanese practitioners and traditionalists tend to look down on the use of blue because of the fact that judo is considered a pure sport, and replacing the pure white judogi for the impure blue is an offense. For events organized under the auspices of the International judo Federation (IJF), judogi have to bear the IJF Official Logo Mark Label. This label demonstrates that the judogi has passed a number of quality control tests to ensure it conforms to construction regulations ensuring it is not too stiff, flexible, rigid or slippery to allow the opponent to grip or to perform techniques. The international governing body for judo is the International Judo Federation (IJF), founded in 1951. Members of the IJF include the African Judo Union (AJU), the Pan-American Judo Confederation (PJC), the Judo Union of Asia (JUA), the European Judo Union (EJU) and the Oceania Judo Union (OJU), each comprising a number of national judo associations. The IJF is responsible for organising international competition and hosts the World Judo Championships and is involved in running the Olympic Judo events. Beginning students progress through kyu grades towards dan grades. A judoka's position within the kyu-dan ranking system is displayed by the color of their belt. Beginning students typically wear a white belt, progressing through descending kyu ranks until they are deemed to have achieved a level of competence sufficient to be a dan grade, at which point they wear the kuro obi (黒帯, black belt). The kyu-dan ranking system has since been widely adopted by modern martial arts. The ninth degree black belt kudan, and higher ranks, have no formal requirements and are decided by the president of the Kodokan, currently Kano Jigoro's grandson Yukimitsu Kano. As of 2011, fifteen Japanese men have been promoted to the tenth degree black belt judan by the Kodokan, three of whom are still alive; the IJF and Western and Asian national federations have promoted another eleven who are not recognized (at that level of rank) by the Kodokan. On July 28, 2011, the promotion board of USA Judo awarded Keiko Fukuda the rank of 10th dan, who was the first woman to be promoted to judo's highest level, albeit not a Kodokan-recognized rank. Although dan ranks tend to be consistent between national organizations there is more variation in the kyū grades, with some countries having more kyū grades. Although initially kyū grade belt colours were uniformly white, today a variety of colours are used. The first black belts to denote a dan rank in the 1880s, initially the wide obi was used; as practitioners trained in kimono, only white and black obi were used. It was not until the early 1900s, after the introduction of the judogi, that an expanded colored belt system of awarding rank was created. Akira Kurosawa, Sanshiro Sugata (姿三四郎, Sugata Sanshirō, aka Judo Saga), 1943. Akira Kurosawa, Sanshiro Sugata Part II (續姿三四郎, Zoku Sugata Sanshirō, aka Judo Saga II), 1945. ^ Jo is the Japanese unit of area. ^ Judo had been used before then, as in the case of a jujutsu school that called itself Chokushin-ryū Jūdō (直信流柔道, Sometimes rendered as Jikishin-ryū Jūdō), but its use was rare. ^ Tello, Rodolfo (2016). Judo: Seven Steps to Black Belt. Arlington, VA: Amakella Publishing. p. 33. ^ Koizumi, Gunji. "Ne-waza (Groundwork) and Atemi-waza (blows) in Judo". Judo. Budokwai Judo Quarterly Bulletin. Retrieved 11 September 2012. ^ "What is a Kata?". umich.edu. Archived from the original on 2015-02-19. Retrieved 2015-03-05. ^ Cf. Jigoro Kano, Kodokan Judo, Kodansha, USA, 2013, § Tandoku-renshu. ^ "The Contribution of Judo to Education by Jigoro Kano". Judoinfo.com. Retrieved 2016-02-21. ^ Administrator. "Judo Rules: Basic Rules of Judo". rulesofsport.com. ^ "INT. JUDO FEDERATION : IJF Referee Commission : REFEREEING RULES ALTERATIONS : TEST EVENT ON WC JUNIOR BANGKOK'08" (PDF). Judoinfo.com. Archived from the original (PDF) on 2016-03-03. Retrieved 2016-02-21. ^ "Evolution of Judo Contest Rules". Judoinfo.com. Retrieved 2016-02-21. ^ "Extended match (e.g. Golden Score Contest) | Judo Channel". Judo-ch.jp. Retrieved 2016-02-21. ^ "MMA Fan's Guide to Grappling: Judo". Bloody Elbow. 2013-07-15. Retrieved 2016-02-22. ^ Anthony Fusco (2012-08-20). "Judo "The Gentle Way": Why Judo Is so Underrated in MMA Today". Bleacher Report. Retrieved 2016-02-21. ^ Jonathan Snowden (2012-04-06). "The Gentle Way: Strikeforce Champion Ronda Rousey and the Birth of a Judo Star". Bleacher Report. Retrieved 2016-02-21. ^ Jonathan Snowden (2012-04-11). "The Gentle Way Part II: Olympians Ronda Rousey and Rick Hawn Adapt to MMA". Bleacher Report. Retrieved 2016-02-21. ^ Erickson, Matt. "Is Ronda Rousey the savior judo has been waiting for?". MMAjunkie.com. Retrieved 2016-02-22. ^ "The History of Sombo". Members.tripod.com. Retrieved 2016-02-21. ^ Kano, Jigoro. "The Contribution of Judo to Education". Judoinfo.com. Retrieved 10 September 2012. ^ Hill, Robert (2010). World of Martial Arts. 128 Valley Ln London, Kentucky: LuLu Publishing. pp. Chapter 8. ISBN 978-0-557-01663-1. ^ a b "Introduction of the Blue Judogi". International Judo Federation. Archived from the original on 2007-09-12. ^ "Go Ranks". Mechner. Retrieved 18 September 2017. ^ a b c Ohlenkamp, Neil (March 25, 2007). "The Judo Rank System". JudoInfo.com. Retrieved 2007-10-15.